SAVE 30% until August 1 on this piece. . . . . . Originally $1295, now $906.50. 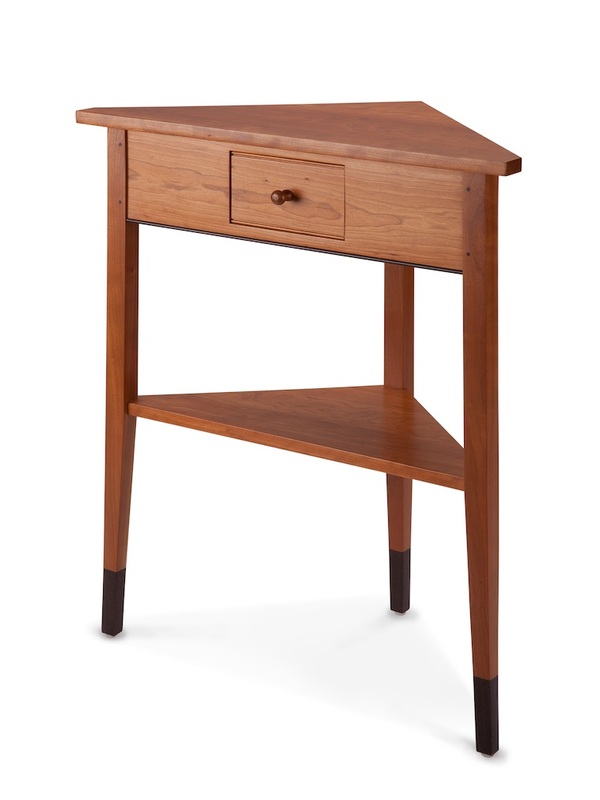 This beautiful handcrafted one-drawer corner table is made of solid cherry with wenge accents; will accent any corner space nicely. Joinery is mortise & tenon and pegged. Drawer box is made of soft maple along with aromatic cedar for bottom. Metal drawer pull. Finished with two coats of lacquer.